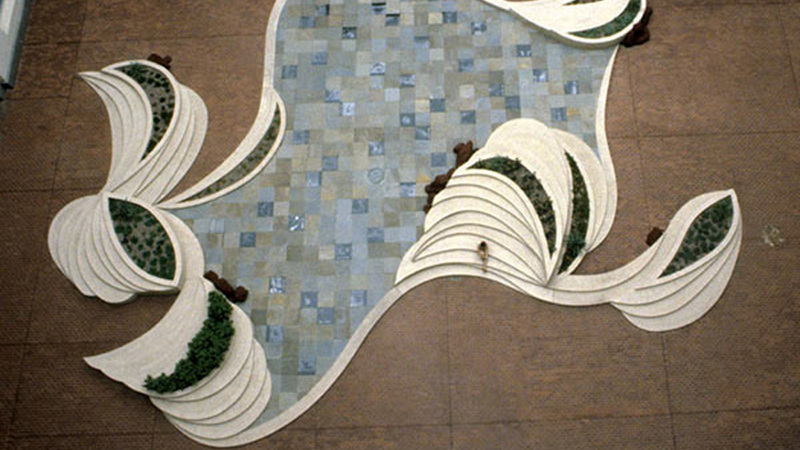 On August 23, 2012, the State of New Jersey reversed its decision to demolish Green Acres, a site-specific installation by Athena Tacha created in 1985 in honor of the State’s similarly named land protection program. Amy Cradic, a policy advisor to Governor Chris Christie, informed Tacha of the decision not to demolish Green Acres and, pending available funding, to restore the installation. This stands in contrast to the April 18, 2012 New Jersey State Treasury Department letter that informed Tacha that her work would be demolished after July 31, 2012, unless the artist removed the work at her own expense. TCLF, working in partnership with Preservation New Jersey and ArtPride NJ, mounted a campaign to prevent the demolition, which resulted in extensive media coverage. On August 27, the organizations issued a joint press release announcing the good news about Green Acres. "I am very pleased that the State of New Jersey has committed to preserving Green Acres,” said Athena Tacha, “and look forward to working with State officials on the site's restoration." “Modernist landscape architecture and installations like Green Acres are still underappreciated, which makes the preservation of this work a nationally significant decision,” said Charles Birnbaum, TCLF founder and president.